Roofing, vinyl siding and custom window wraps - R.G. Penfield & Sons, Inc. 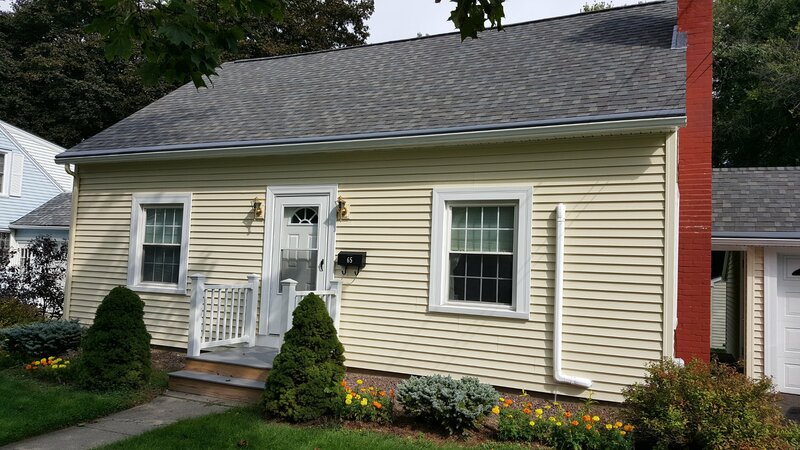 In addition to a new asphalt shingle roof and quality vinyl siding, gutters and Gutter Helmet were installed on to this cape. Custom-made window wraps added the finishing touches. Installing siding to any type of home, barn, garage or commercial building is a job for the pros. Whether it be quality cedar clapboard siding, cedar shake siding, durable vinyl siding, solid board siding or fiber cement composite siding, Penfield handles them all. With decades of experience, no job is too small, too large or too intricate. 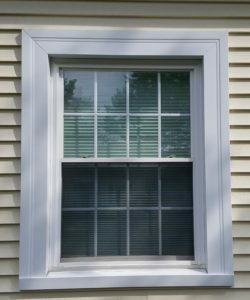 If your job involves a transition from say cedar shakes to clapboards, the transition must be clean, sound and properly flashed. Siding around porch roof or bay roofs need special attention to flashing to avoid leaks which can cause hidden damage and rot over time.